Dr. Vlahos is a graduate of the University of Pennsylvania School of Medicine. He completed his residency in 1993 from George Washington University Medical Center and entered the U.S. Air Force, where he served as a chief Orthopaedic Surgery at Incirlik Air Base, Turkey. He also served as Staff Orthopedic Surgeon at Andrews Air Force in Washington, D.C., Dr. Vlahos has been practicing in the Tampa Bay area since 1997. 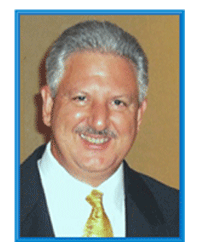 In 2002, Dr. Vlahos founded The Center for Orthopedic Injuries and Disorders in Palm Harbor, Florida. Here he offers a wide range of Orthopaedic services and procedures. He also offers an onsite patient care team compromised of a highly qualified Physician Assistant and Orthopaedic Technician, Clinical Liaison. This is to ensure that the patients receive the best and most timely care. Dr. Vlahos is certified by the American Board of Orthopaedic Surgery and the American Board of Independent Medical Examiners. The Doctor is on staff at the Morton Plant Mease Countryside and Dunedin Hospitals, and Florida Hospitals (North Pinellas & Carrollwood).